Tonight, in a moment of stillness, I truly missed writing on here. So here's to recommitting to share and grow through this space. 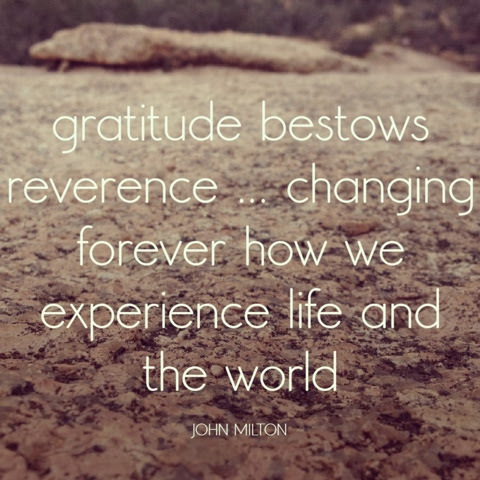 I've been reminded a lot lately of of the impact that gratitude plays in our lives. When life throws us curve balls and we find ourselves struggling with our demons every hour of the day; find time to just stop, breathe, and get grateful. Just for a few quiet moments, be open to finding space to create something new and potentially life changing. These moments of trial and tribulation are opportunities to show us how much a friend means, how much we need a few more moments of love towards ourselves, these moments teach us how we are supported, how we are loved, how we are appreciated, and how we change the lives of those around us. When we can quiet our minds and find a moment of stillness, gratitude can be the ripple. That first thought creates the multitude of thoughts that come after, so concentrate, and make that first thought one of love and understanding. Be compassionate, first and foremost to yourself, we are all on the same road through struggle. Start with you and create a ripple effect in the lives of those around you. When you find that you can't possibly move forward, just get grateful, it will light the way to begin again.